Mrs. Gonzalez has a class Remind accont set up so to send brief reminder messages regarding review homework info and reminders of upcoming tests to study for. Don’t have a mobile phone? Go to rmd.at/aghhsbio on a desktop computer to sign up for email notifications. Don’t have a mobile phone? Go to rmd.at/aghhszoo on a desktop computer to sign up for email notifications. At the end of the semester, I will clear out all names and contacts so you won't receive any more messages when the semester is over. 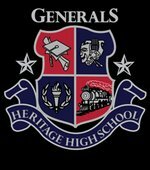 Biology Help is available during 1st Half of Lunch every Wednesday and Friday. Students should come at the very beginning of lunch to get any help on assignments or make up work. Student with class average below a 70 are required to attend lunch tutoring until grade imporves. ALL students will be required to take the "MILESTONES" Biology that does count as the final 20% of the students Biology grade. There will be a separate last exam given during finals and this will be counted towards the 9 weeks average. Students with good grades and attendance may be exempt from this last exam based on our exemption policies. Students will get exemption information towards the end of the semester. 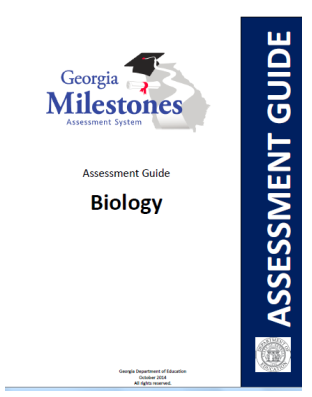 Below is a link directly to our new Georgia Milestones Assessment Guide for the Biology End of Course test. Look it over, so to have a better understanding of the types of question that will be asked on this test. and a student Ga Biology "Milestones" Assessment Guide with example practice test questions.